Automatic, 18 inch wheels, ABS, power windows, black interior, white exterior. Price: AED 78,000. GCC spec, grey/silver 4 cylinder sedan with tan interior. It has bluetooth system and front wheel drive. Imported spec 2016 Audi with Power seats, 17″ wheels and ABS. Price reduced! GCC spec A3 from 2019 with a 4 cylinder engine. Grey/Silver sedan with brown interior. It has climate control and paddle shifters. 2018 Audi A3 with Drivers information system, 16″ wheels and ABS. Price reduced! GCC spec A3 from 2015 for AED 48,000 with a 4 cylinder engine. Purple sedan with black interior. It has ABS and tuner/radio. Pros: Price, options and style. Basel - When I was looking for a used Audi A3 for sale in Dubai, UAE I was hoping to find a used S3 with a decent price tag. Couldn’t find one and instead bought an import pre owned A3 Quattro S line instead. Great traction, specs and engine just hard to find parts due to its age. Pros: Quattro system, specs and output. Ramsey - My A3 S Line can’t be faulted. It looks great even to this day, it’s fast and has all the options I need. Rear headroom is a bit cramped but what else do you expect from a two door hatchback. Current models have a set of competent engines available even if five cylinders sounds a bit weird. Front wheel drive may be standard, but all-wheel drive is available too! Like the look but not the engines? There is a potent S version as well that adds that extra kick you might need. It’s available in multiple body styles including a sedan, hatchback and convertible. Not only do they look good, but they also handle pretty well too making the A3 a pleasure to drive. 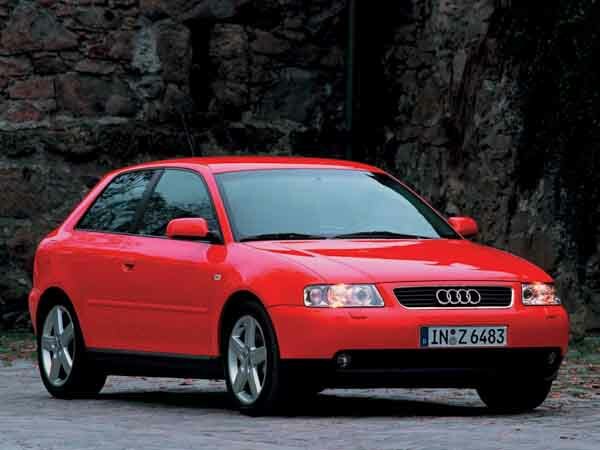 Born in the late 90’s, the A3 served as the brands compact family car for the masses. Available in a variety of shapes, the A3 has proved popular with families around the world due to its wide range of options, trim levels and ability to handle the Quattro system. Road Rivals: BMW 1-Series, Mercedes-Benz A-Class and the Volvo V40. In its first generation, the Audi A3 started off life as a two door or four door hatchback that proved popular with the youth of the time. Options include 16-inch rims, radio tuner, fabric seats, traction control, stability control, brake force distribution are all standard with power accessories, sunroof, rear spoiler, central locking, CD player and larger rims available as extras. 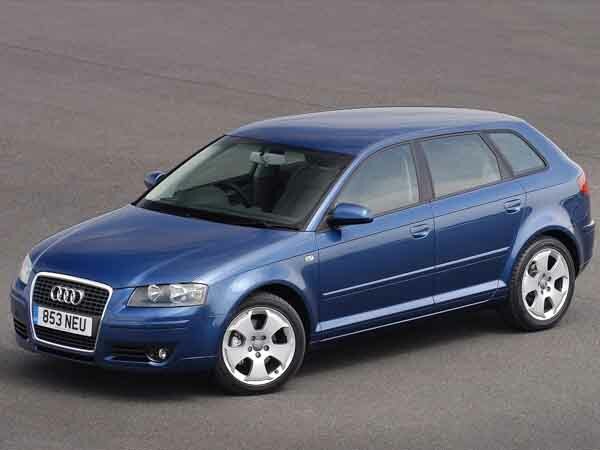 In the late 2000’s, the A3 received a minor facelift which includes new lights, minor cosmetic adjustments and an upgraded interior. Either a 1.6-litre or 1.8-litre four cylinder petrol motor is available in this generation with select models fitted with turbo inductions. Manual and automatic transmissions are available as front wheel drive is stock with four wheel drive being an option. Looking for a used Audi A3 in Dubai, UAE? Prices start at AED 15,000. In its second generation, the Audi A3 got a new look both on the outside and inside. Available as a two-door or four-door vehicle a Cabrio version was also introduced to create a wider spread in the market. Base options now include 16-inch alloys, digital air conditioning, powered accessories, central locking, fabric seats, radio tuner and a CD player. Cruise control, sunroof, leather upholstery, power seats, media inputs and a premium sound system are available as optional extras. Front and side airbags, ABS, load limiters and seat belt pre-tensioners are standard. Three engine options are available in this generation including the two previous ones along with a 3.2-litre V6 motor. While manual boxes are available, automatic ones are the favourite here. Front wheel drive is stock once again, and all-wheel drive is available as an option. In 2005, Audi revealed the S Line variant that adds more flair to the exterior and interior along with new badges and rims. In 2008, the Audi introduced a new dual clutch transmission and magnetic ride as optional extras as well as the stock reworked front grille and daytime running lights. Want to buy a pre owned Audi A3 for sale in Dubai, UAE? Prices start at AED 18,000. 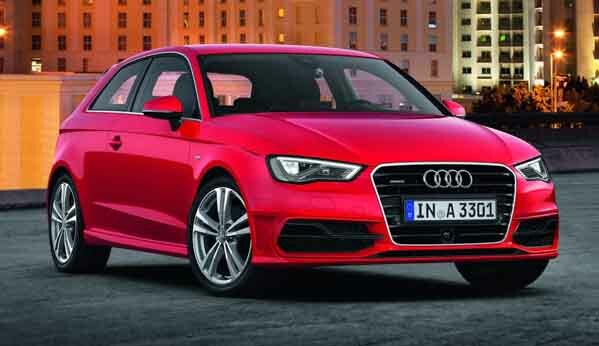 In its third generation, not only did the German brand release an all new A3 with reworked headlights, bumpers and front grille, they uncloaked the A3 sedan alongside the standard hatchback and Cabrio models. Sedan models are 11 mm wider and 9 mm lower to the ground and improve space for the rear passengers. Features for all models remain similar to the previous models with the optional extras list growing to include adaptive cruise control, leather upholstery, the brand's patented Multi Media Interface, media inputs, 4G broadband connectivity, multi-collision detection system, active lane assist and front collision avoidance system. In 2017 trim, the A3 lineup receives a facelift that allows the cars to blend in with other Audi’s as the front grille and headlights are reworked. The German manufacturer are also offering the fully digital 12.3-inch dashboard display as an optional extra. Safety features also remain identical to the previous years with the exception of a reverse camera, blind spot mirrors and parking sensors. Powering the A3 in this generation is a selection of engines including an inline four and a straight five-cylinder motor. All are mated to an automatic or manual gearbox. Front-wheel drive is standard with all-wheel drive available. Looking for a second hand Audi A3 for sale in Dubai, UAE? Prices start at AED 69,000.